The inmates to be housed in this institution are those who do not have severe physical or mental problems and who are able to adapt to communal life selected out of those inmates who do not have advanced criminal tendencies and are first-time offenders. Moreover, for male inmates, selection is limited to those who fulfill necessary conditions such as having had a stable job in society and the availability of a supportive environment following release. 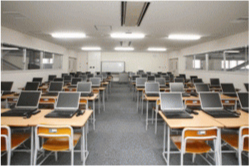 The security of this center is ensured through the diligent care taken for security by well-trained staff as well as hi-tech devices such as various types of sensors, closed circuit cameras, electric locks, and an internal inmate tracking system. The center is surrounded by multiple fences and equipped with various types of sensors to enhance the security level. The exterior of the fences is covered by plants such as ivy to block viewing from the outside while creating harmony with the surrounding environment. Shatter-resistant tempered glass is used for the windows of the facility such as the residential areas of the inmates to ensure security while maintaining a sufficient outside view from the rooms and adequate lighting, and thus enabling inmates to live in an environment which is closed off from general society but with a reduced sense of imprisonment. Everyone on the premises - including employees of the private sector, prison officers and visitors - is provided with a wireless tag that allows for real-time monitoring of their location. 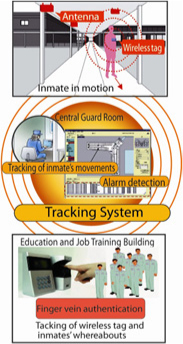 The wireless tag and a biometrics system are used to determine the inmates, movements and increase the effectiveness of the duties of prison officers while reducing their workload. 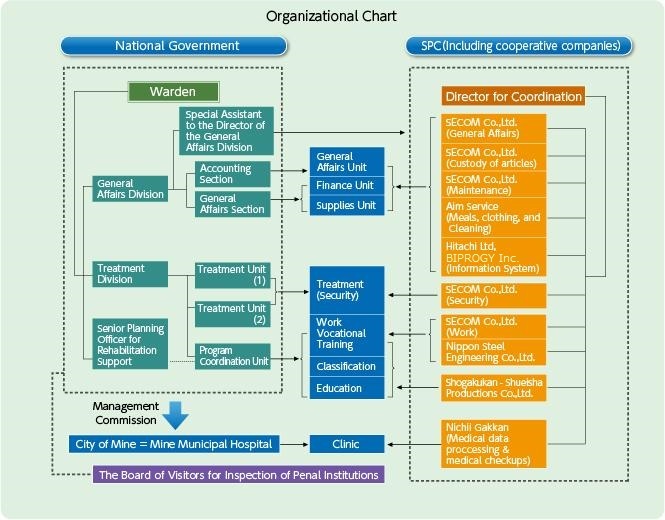 When an inmate needs to be escorted to a hospital or other facilities, a tracking system incorporating GPS and communications functions is used. At the same time, additional security measures are implemented to prevent escape and other such incidents. 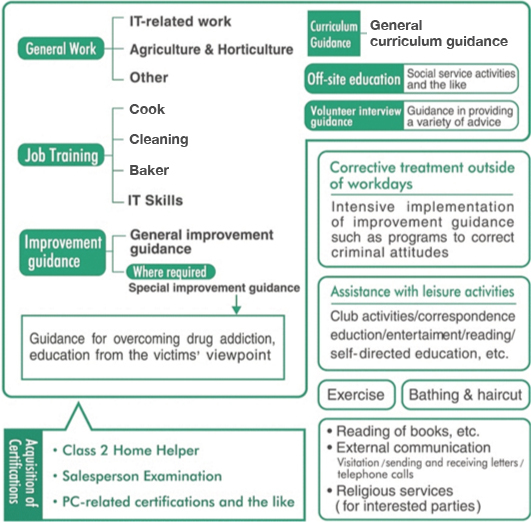 Treatment for sentenced inmates should aim at encouraging sentenced inmates to rehabilitate themselves and at fostering their ability to adapt themselves to life in society by arousing their awareness based on their personal attributes and the surrounding environment. the results of this evaluation, the penal institution designates an appropriate restraint category for that inmate. The Center focuses on safety and security to ensure harmony with the local community. Private operators handle all the supply and loaning of daily necessities, meals, cleaning, laundry and grooming for inmates of the Center. The Center is committed to improving regular dietary habits, providing clean facilities, and creating the most suitable environment for social rehabilitation. In keeping with its philosophy of maintaining harmony with the local community through the consumption of local products, the Center also considers the economic benefits to the community from providing employment and procuring food ingredients and the like from local providers.